or an ideal opportunity to handle something as apparently muddled and tedious as natively constructed cake. 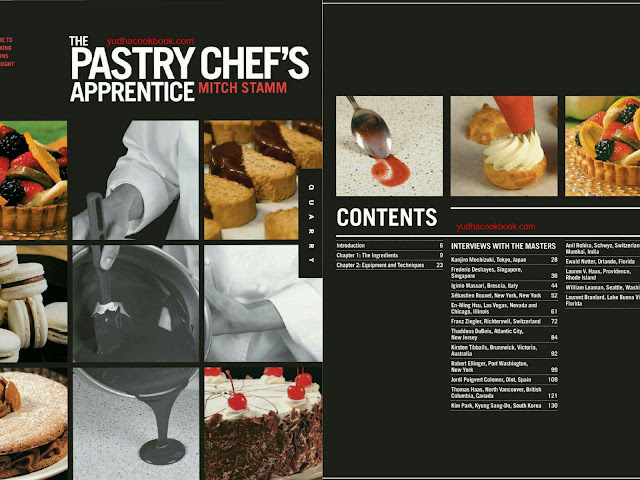 In The Pastry Chef's Apprentice, writer Mitch Stamm streamlines a culinary school's center baked good educational programs and instructs the peruser exactly how rapidly you can go from filtering and mixing to staggering. The bosses included in The Pastry Chef's Apprentice show exemplary cake abilities, for example, caramel, pate a choux, tart outsides, and that's only the tip of the iceberg, to the beginner nourishment fan. Through broad, various profiles of experienced specialists in addition to completely represented instructional exercises and flavorful formulas, the peruser gets insider access to genuine cooks, dough punchers, culinary teachers, and that's only the tip of the iceberg. With these new aptitudes—or simply the opportunity to return to their old benchmarks—everybody from easygoing cooks to committed epicures will learn many better approaches to take their kitchen abilities to the following level.